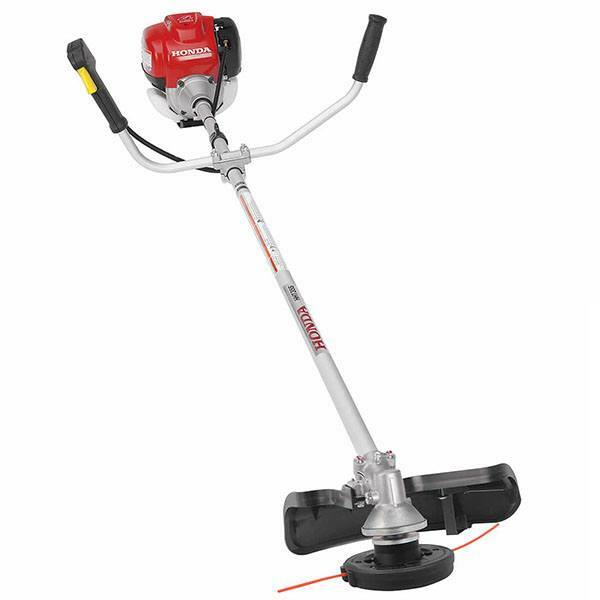 Honda’s 4 stroke trimmers take on the tough jobs with ease. 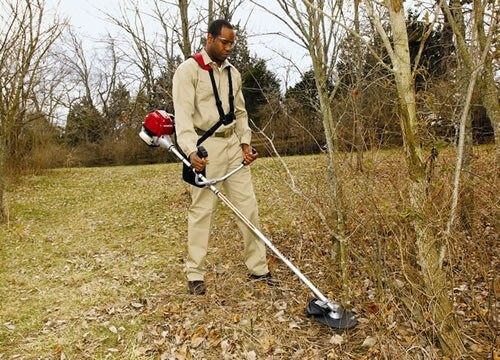 ADAPTABLE FOR TRIMMING, CLEARING BRUSH, AND EVEN SMALL TREES: The HHT35SUKA is ideal for the professional whose needs range from regular trimming to clearing heavy brush, saplings, and small trees. EASY STARTING, 4-STROKE HONDA ENGINE: The Honda Quick Start system offers a quick, easy start. No hassle. No fuss. Every time. RUNS ON REGULAR GAS - NO MIXING! : Honda's GX35 mini 4-stroke engine runs on straight, unleaded gas. No need to mix gas and oil! QUICK ACCELERATION AND EXCELLENT TORQUE FOR DEMANDING JOBS: Designed to take on thick grass and heavy brush without bogging down. Strong low-end torque characteristics allow many jobs to be performed at partial throttle, increasing fuel efficiency. 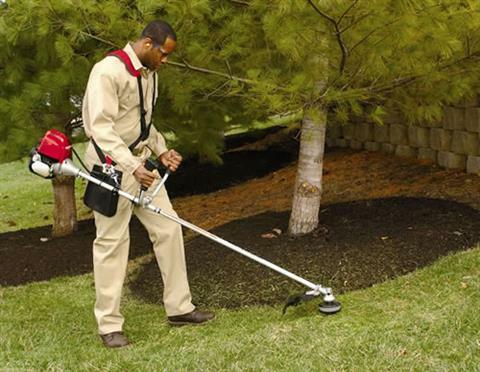 FUEL EFFICIENT DESIGN: Highly fuel efficient design costs less to operate - up to 50% less than a two-stroke trimmer! COMMERCIAL "BIKE" HANDLE DESIGN: The U shaped handle design makes the HHT35SUKA more comfortable to operate, and offers precise control. DURABLE FLEX SHAFT WITH LIMITED LIFETIME WARRANTY: Flex shaft with limited lifetime warranty for increased durability and superior shock absorption. DEFLECTOR DESIGNED TO PROVIDE INCREASED OPERATOR VISIBILITY: Equipped with an automatic line cutter. 17 IN. KWIK LOADER 2 LINE HEAD, WITH ULTRA QUIET® LINE: Ultra Quiet® Line significantly reduces the trimmer's noise level. 10 IN. SAW BLADE INCLUDED. LOWER VIBRATION FOR MORE COMFORTABLE OPERATION: The GX35 creates less vibration than comparable engines. An advanced anti-vibration system is designed into the engine clutch housing to further minimize operator fatigue. USE AND STORE IN ANY POSITION: Unique 360 degree inclinable engine can be used and stored in any position. SAFETY GLASSES AND DOUBLE HARNESS INCLUDED. CAN ACCOMMODATE A VARIETY OF 9 IN. AND 10 IN. CUTTING BLADES.